Travel company “Vympel-tour” is glad to introduce to your attention the programs developed specially for the connoisseurs of the ballet. Specially for you our managers developed the programs, which will give you an opportunity not only to visit international ballet competition, but to visit Moscow sightseeing. Travel company “Vympel-tour” will organize your stay in Moscow high-level. You will have no more, but enjoy the classics of ballet art and the beauties of our capital. 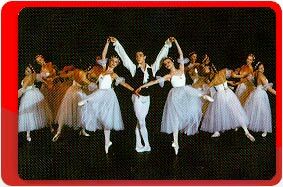 Also you will have an unique opportunity to visit the master classes, which worldwide known teachers of ballet art will give you. The studies will take place in The State Academy of Theatre Art 10 days before the competition and from the 24 of June. The fulfillment of your wishes is our work. Yours faithfully, travel company “Vympel-tour”.